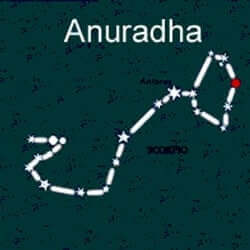 The Anuradha Nakshatra in Vedic astrology Jyotish is nestled in Scorpio and is represented by 4 stars in the constellation. 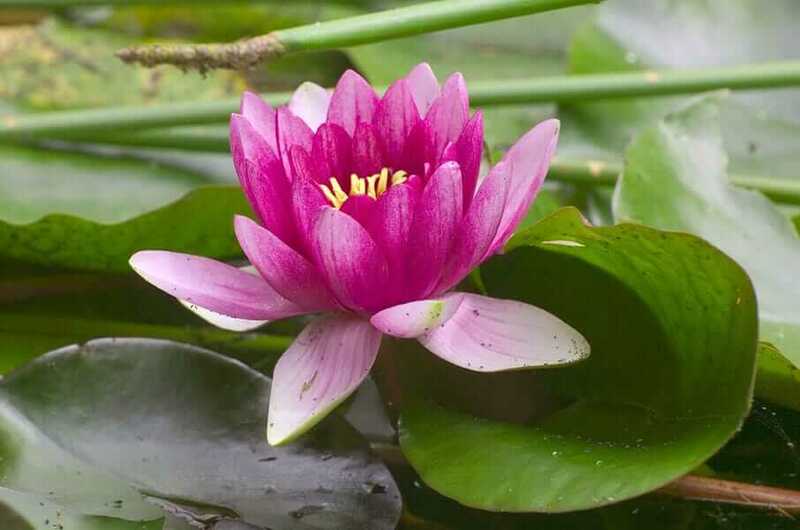 Ruled by Mitra, the god of friendship the region is symbolized by a triumphant arch or lotus flower. The arena of the Anuradha Nakshatra is represented in the cosmos by three stars in the Scorpion’s body and a fourth in its right claw. Presided over by Mitra, the god of friendship and sometimes sharing the symbol of the triumphant arch with its sister Vishaka. The sector is also represented by a lotus flower. Typically affectionate and gentle these people do not carry much negative energy and are rarely violent or aggressive. They will however become quite controlling when they are threatened. These people like to share and are known to help friends and family willingly. Naturally charming, the Anuradha birth star native has bright eyes that command a great deal of attention. They are also known to be exceptionally beautiful. If many negative influences are present they may have a rather harsh look to them. Traditionally, natives of Anuradha are confronted with many hurdles throughout their lives. They are known to maintain a positive outlook and don’t give up easily. The Anuradha natives are a strong and optimistic group. Endowed with many leadership qualities the Anuradha thrives in a large organization. They are known to succeed in finance and human resources. Their strong organizational skills and mathematical aptitude also makes the Anuradha well-suited for self-employment. Many of these natives will start working when they are much younger than their peers. They are known to excel in pharmaceuticals, medicine, arts and media. Known to have challenging relationships with their mothers, these independent folk require very little parenting. They tend to move far away from the parents at the earliest opportunity. They are known to create their sense of belonging through their close friends. Anuradha natives tend to enjoy satisfying matrimonial relationships full of peace and family happiness. Asthma, persistent cough, dental issues and constipation will plague these individuals. Their sensitive nature may result in mental health issues if they experience too much trauma. Previous What Is The Solar Plexus Chakra? Next How To Calculate Attitude Number?